View More In Binding Covers & Paper. COMIX is a world class office supply solution provider. We offers diversity in office and education solution in categories such as desktop stationary, folder organizers, writing instruments, and calculators. COMIX has been providing the office supply and stationary worldwide over 20 years with global sales operations throughout North and South America, Europe, and Asia. Customer satisfaction is our top priority and we stand behind our product quality. Our products are designed ergonomically and the material we use are made to be durable. With our 3 years warranty, customers can buy with confidence. We have received various awards for our creativity, reliable quality, product variety, expertise design, and professional services. Reinforced border to increase the usability, durability, and life-span of the portfolio. Made with highly durable, flexible, and smooth plastic (polypropylene). Robust 3 prong fastner enables punched documented to be secured inside the folder effortlessly and efficiently. Designed in vibrant color that allows user to easily differentiate function, purpose or category. 100+ page capacity. 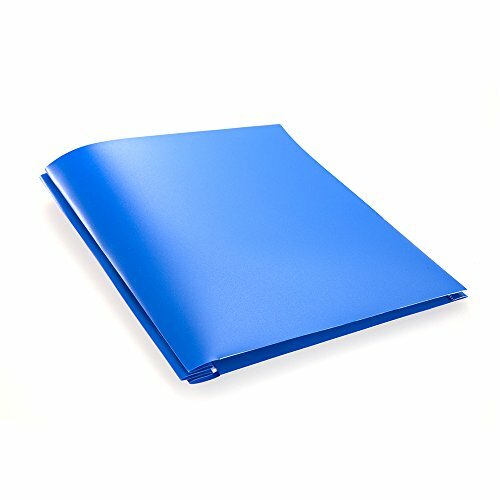 Prevents accidental spill, tear, or fold on mission critical documents, files, or presentations.